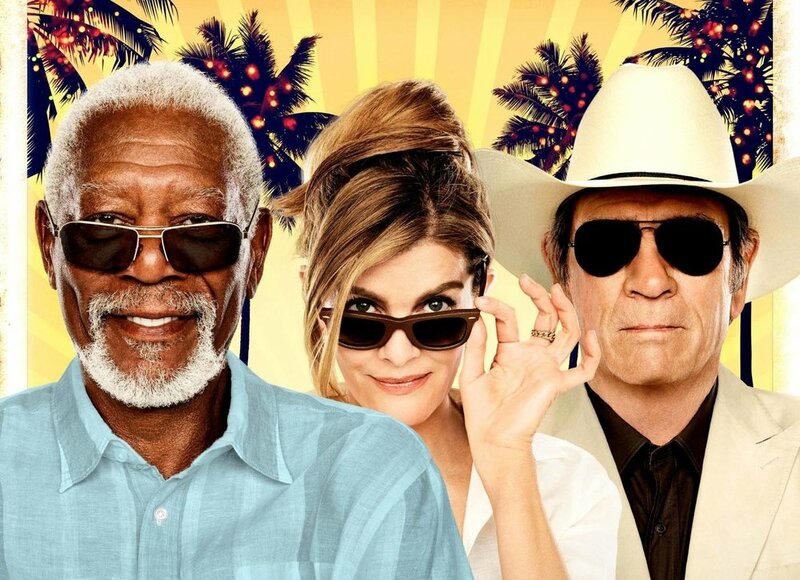 Synopsis: Duke Diver is living the high life as the freewheeling manager of a luxurious resort in Palm Springs, California. He soon faces competition from Leo, a former military man who likes the same woman that Duke is interested in. When Diver's past suddenly catches up with him, he must put aside his differences and reluctantly team up with Leo to stop whoever is trying to kill him. 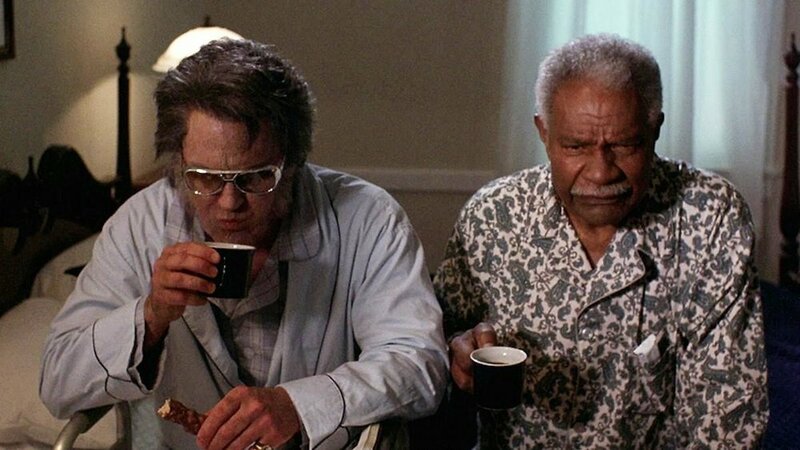 As far as horror goes, there’s only one retirement home story to turn to: Don Coscarelli’s Bubba Ho-Tep, in which a secretly-alive Elvis (played by genre stalwart Bruce Campbell) and JFK (whose brain has either been placed in the body of an elderly African-American man, or he’s just crazy) battle a mummy. Truth be told, I’m not the biggest fan of this film, but there’s no better counterpoint to the wacky antics of Just Getting Started, lacing the absurdity with some cutting commentary on aging and some just plain weird special effects mayhem. Synopsis: Elisa is a mute, isolated woman who works as a cleaning lady in a hidden, high-security government laboratory in 1962 Baltimore. Her life changes forever when she discovers the lab's classified secret -- a mysterious, scaled creature from South America that lives in a water tank. As Elisa develops a unique bond with her new friend, she soon learns that its fate and very survival lies in the hands of a hostile government agent and a marine biologist. There couldn’t possibly be an easier choice for this one. Del Toro has been trying to get a remake of Black Lagoon off the ground for quite some time, and The Shape of Water is his not-so-subtle way of getting around the usage rights for that project. It’ll probably be important to check out the original film first, to compare how the aquatic-beast-falls-in-love-with–a-human-woman storyline has evolved since its inception in the 1950’s. And who could resist that crisp, stylish burst of black-and-white monster fun? 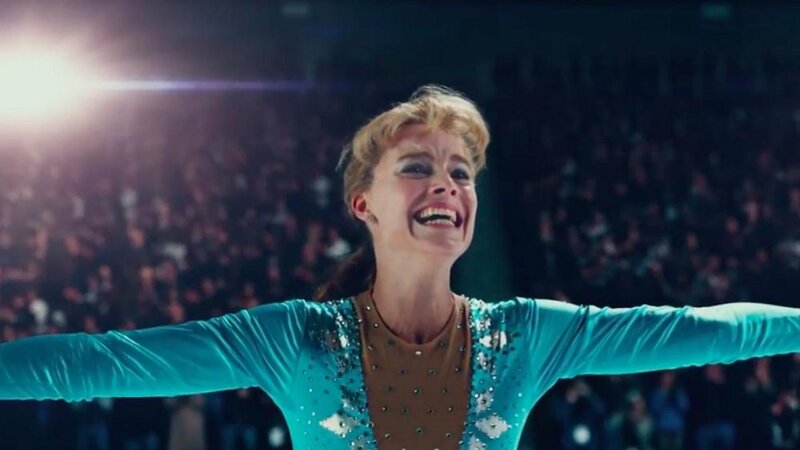 Synopsis: The film tells about ex-spouses Tonya Harding and Jeff Gillooly, who hired a man to break the leg of Harding's competitor Nancy Kerrigan at the National Figure Skating Championship in 1994, which led to the end of Harding's career in figure skating. Some people will do anything for success in their field, no matter how niche or specialized. Instead of ice-skating, Black Swan tells the story of an obsessed woman striving for perfection in ballet. She doesn’t go so far as breaking a competitor’s leg. She goes further. I won’t spoil it if you haven’t seen it (but really, who hasn’t? ), but Black Swan is an intense thrill ride with a handful of subtle yet brutal gore moments that I still think about years later.